First off, an apology. Some sort of nasty virus crept up on me while I was asleep Tuesday night, and for the next two days I felt as though I had to get better to die. I'm just now beginning to feel human. Needless to say, the computer didn't get turned on, and everything fell by the wayside. Hopefully I can get myself worked back into the swing of things. Enough of me! This third week of celebrating mysteries out in the great outdoors will bring us into contact with people who make our lives brighter by helping the earth to bloom. Are you ready for some gardening mysteries? I hope so! First of all, I'd like to tip my hat to two of the master gardeners of mystery: Susan Wittig Albert with the wonderful China Bayles series, and Ellis Peters with her masterful Brother Cadfael. They are so well known that there's really no need to say more! Lapsed Texas Master Gardener Julie Wray Herman lives outside of Houston with her husband, two teenagers, and (at last count) two dogs, three cats, three horses, and the creature who lurks in the pond. She has created the Three Dirty Women Landscaping, Inc. mystery series. How could you not want to sample a book in this series that has a business name like that? There are three books in the series: Three Dirty Women and the Garden of Death (2000), Three Dirty Women and the Bitter Brew (2001), and Three Dirty Women and the Shady Acres (2003). Professional landscaping company, Three Dirty Women, unearths more than than they bargain for when Amilou Whittier finds her philandering husband buried under a client's azaleas. Her friend and partner, Korine McFaile, follows a twisting path to discover who really killed Greg Whittier. Was it Susannah Graham, whose past relationship with Greg Whittier may have been heating up again? Or was it Sally Tucker, who ran away with Greg and broke up Amilou's marriage, only to come back to town without him? Things get really complicated when a second victim turns up. When the evidence points squarely at Amilou, Korine finds that supporting a friend can be easier in thought than in deed. 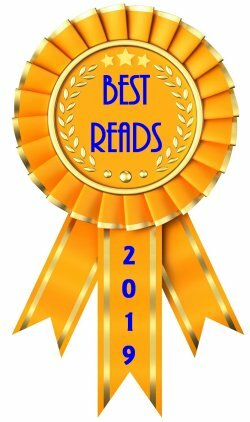 Maine writer Kathy Lynn Emerson has written an excellent historical mystery series featuring Lady Susanna Appleton, an herbalist and sleuth in Elizabethan England. I've enjoyed this series for the character of Susanna, the period detail, and the information about plants and herbs. At this time, there are eleven books in the series. 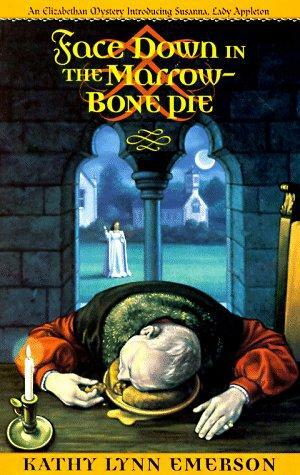 The first three are: Face Down in the Marrow-Bone Pie (1997), Face Down Upon an Herbal (1998), and Face Down Among the Winchester Geese (1999). Emerson introduces an unconventional Elizabethan sleuth in this entertaining first installment of a new mystery series. Ignoring the express wishes of her husband, Lady Susanna Appleton, expert herbalist and astute judge of human nature, travels to Lancashire to investigate the sudden death of John Bexwith, senior steward of Appleton Manor. Although Susanna immediately suspects Bexwith was poisoned, she must unearth several skeletons in the Appleton family closet before uncovering a plausible motive for murder. With verve and elan, Susanna is able to utilize her extensive knowledge of plants and toxins to solve the case and to exact an extraordinary measure of independence from her wary husband. 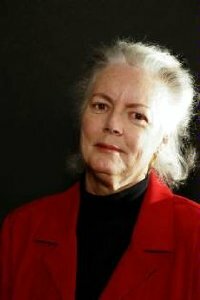 North Carolina writer Vicki Lane and her husband moved to the Appalachian Mountains in 1975 and immersed themselves in farm life. I've been a longtime subscriber to her blog, which is filled with wonderful photos, among other goodies. Her series features 50-something widow Elizabeth Goodweather, who is the proprietor of an herb and flower farm near Ashville, North Carolina. Her books are filled with marvelous characters. The series contains five books, the first three of which are: Signs in the Blood (2005), Art's Blood (2006), and Old Wounds (2007). Fundamentalist Christian snake handlers and liberal back-to-the-landers; a secretive white supremacist militia and undercover police agents; simple rural mountain dwellers and sophisticated urban artists—throw in a counterculture commune of allegedly extraterrestrial origin and that still wouldn't cover all the disparate types who populate the Appalachian community of Ridley Branch, N.C., the setting for this well-crafted, dramatic tale of murder, miracles and midlife romance. Widow Elizabeth Goodweather, the 52-year-old proprietor of an herb and flower farm, becomes dangerously involved in a homegrown investigation when a housebound elderly neighbor refuses to accept the official verdict that her retarded yet woods-savvy son's death was accidental. 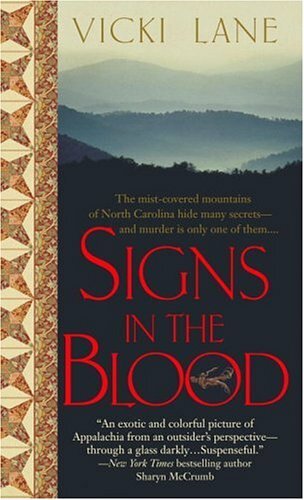 Evocative detail brings the supporting characters vividly to life, as the plot moves between the mountain man's killing and an unsolved historical mystery that appears to eerily mirror the murderous modern scenario. 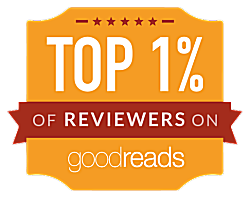 Also admirable is the sensitivity with which Lane utilizes exotic religions to intensify the book's dark-toned suspense, while resisting oversimplification and insult. 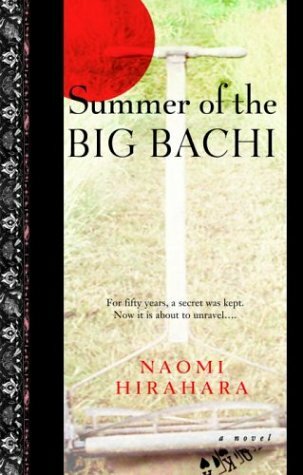 Naomi Hirahara's father-- like Naomi-- was born in California, but when he was an infant, he was taken to Hiroshima, Japan. He was only miles away from the epicenter of the atomic bomb blast in 1945, but he survived. Naomi's mother was born in Hiroshima and lost her father in the blast. Shortly after the end of the war, Naomi's father returned to California and established himself in the gardening and landscaping trade in Los Angeles. 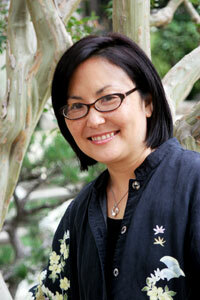 Naomi's series features Mas Arai,a Japanese-American Hiroshima survivor who's a gardener and sleuth in Los Angeles. I love the character of Mas Arai! The series to date contains four books: Summer of the Big Bachi (2004), Gasa-Gasa Girl (2005), Snakeskin Shamisen (2006), and Blood Hina (2010). 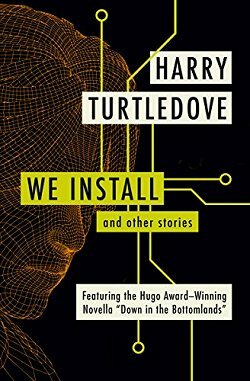 In chapter one of Hirahara's seamless and shyly powerful first novel, a Japanese PI unsettles prickly, stubborn Mas Arai, Hiroshima survivor, widower and estranged father, and the other elderly Japanese-American gardeners who hang out at Wishbone Tanaka's Lawnmower Shack in the seedy L.A. suburb of Altadena. The PI's disturbing questions concern a nurseryman called Joji Haneda, reported dead in the atomic blast that leveled Hiroshima in August 1945, but who was actually still alive in California in June 1999. A month later, Haneda is brutally murdered. Mas must revisit his past and open old, still festering wounds in order to solve the crime, while the specter of bachi, akin to instant bad karma, hovers over him like the black clouds of his recurring nightmares. In his cherished 1956 Ford truck, unlikely sleuth Mas pursues a trail that leads him to an all-night noodle shop, an illegal gambling loft and a chow-mien bowling-alley/cafe. After his truck and dignity are stolen, Mas enlists the help of two lovingly rendered, all-too-human friends: Haruo Mukai, whose long white hair hides a false eye and shocking keloid scar, and Tug Yamada, a gentle, honorable giant willing to put his own life on the line for others. 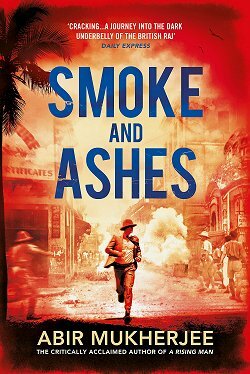 Peppered with pungent cultural details, crisp prose and credible, fresh descriptions of the effects of the A-bomb, this perfectly balanced gem deserves a wide readership. I don't know about you, but I've got the sudden urge to track down my trowel and pruning shears. At least, I won't be finding any dead bodies amidst my lantana! What are some of your favorite gardening mysteries? 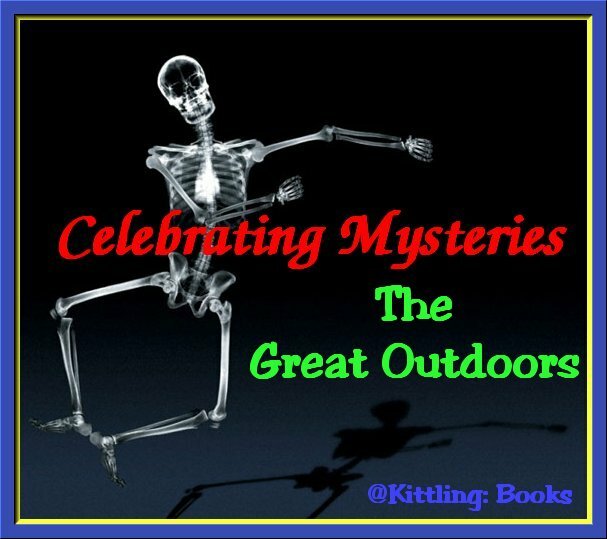 Join me next weekend when Celebrating Mysteries in the Great Outdoors will conclude with more excellent books to add to your wish list! Until then, I think I´ll just read about gardening. I am glad you are better; get really well soon! Glad you're beginning to feel human again. Being sick's no fun. These gardening mysteries sound mighty good. Especially the Three Dirty Women ones. HA! Kay-- Thanks for the well wishes! Pepper-- Nope. But I'm recuperating by sitting out in the pool with a book! Yvette-- I love the titles of those. Worth checking out for that reason alone!